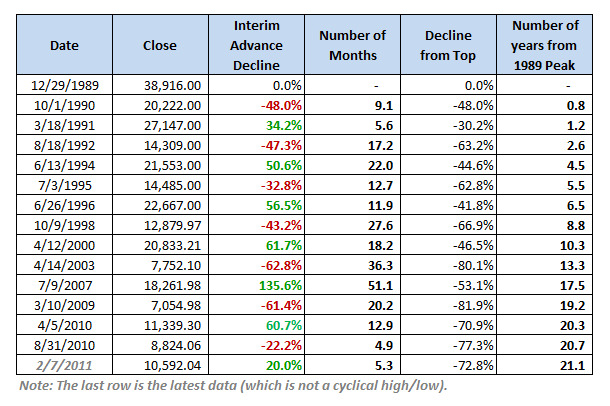 ote from dshort: Buried in this morning’s financial news is fact that the Nikkei 225 closed its first session of the week at a 9-month high (e.g., the Asia One website). Let’s put this milestone into perspective with a long-term review of the index. Here’s an update of my long-term chart of the Nikkei 225, which has rallied above the 10,000 level since mid-November of last year. The chart below gives a close-up view of the cyclical rallies and their duration during Japan’s secular bear market, now in its 21st year. 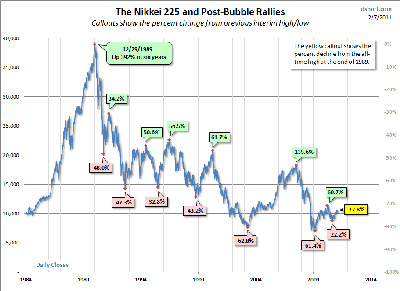 I’ve been posting weekly updates of a mega-bear market charts (here and here) that include Japan’s Nikkei 225. 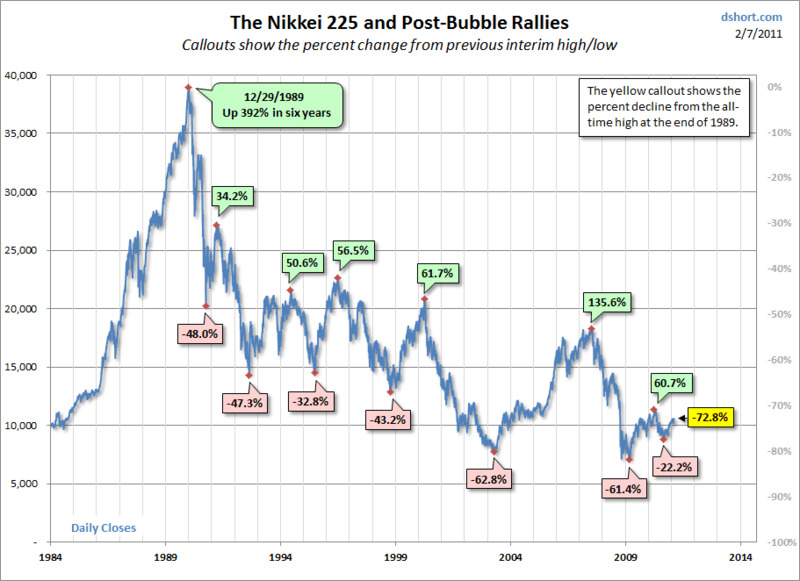 In addition, every few months I update an inflation-adjusted overlay of the Nikkei 225 and S&P 500 bubbles. 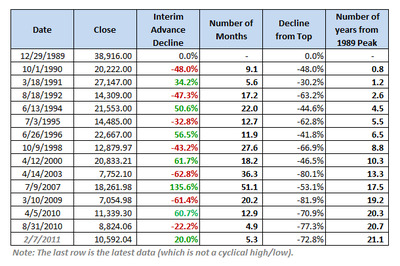 The table below documents the advances and declines and the elapsed time for each cycle.